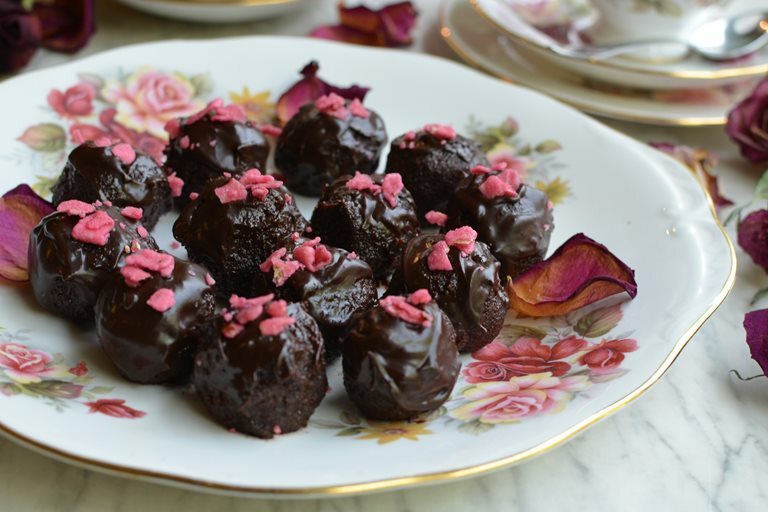 Add a more personal touch this Valentine's Day by making these deliciously decadent rose scented chocolate cake truffles for your loved one. We all know that Valentine’s Day is about flowers, cards, meals in swanky restaurants and chocolates of course. There are a multitude of chocolate shops pushing their wares at this time of year, with constant advertising for soft centres, enrobed nuts, chocolate covered citrus rinds and retro liqueurs. It’s enough to stop a chocoholic sleeping at night as you wade through all the cocoa options that are on offer! However, if you want to show your loved one that you really care, then why not make your own chocolates, and even better, make them with something you’ve already made, namely cake! My other recent Valentine’s Day recipe on Great British Chefs was for some delightful little “Chocolate Box” Chocolate Cakes, wee little chocolate morsels that are sandwiched together with chocolate butter cream with a chocolate box chocolate sitting astride them. When I was making these cakes, I had to trim some of the edges off the top halves, as they had risen quite a lot when baking, so, I saved the cake crumbs and voila, here they are today being used in my Rose Scented Chocolate Cake Truffles recipe. If you don’t have any cake to hand, then a shop-bought cake is fine! 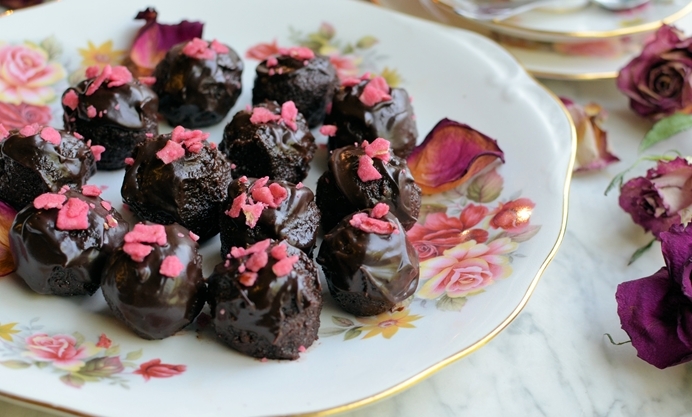 Basically, these truffles are made with chocolate cake crumbs, melted chocolate and rose water, before being dipped in more melted chocolate with a few crystallised rose petals as the final floral flourish. They are rose scented and infused, and are extremely pretty and I bet these would make a romantic and thoughtful gift for anyone on Valentine’s Day. If you don’t fancy giving them as a gift, then just serve them as an after dinner treat with a cup of coffee (or tea). 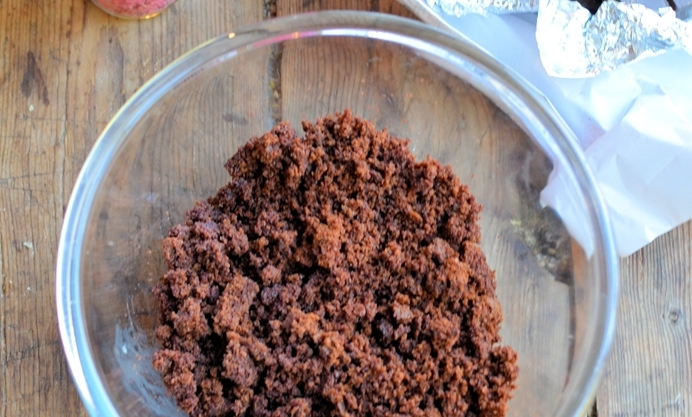 I find truffles made with cake crumbs much lighter than the usual 100% chocolate ones. Yet they are still rich and indulgent and certainly hit the chocolate spot for any chocolate lover, which is exactly what you want on the romantic day!